The New Year has come and like many people you have made a New Year resolution to quit smoking, quit eating unhealthy foods and lose weight and quit other things in your life that are not serving you. If you are true to the pattern you will start off great and full of enthusiasm, but as time goes by your motivation will drop off and the next thing you know you are back to your old ways. Why does this happen!! If you look at your mind you have a conscious and an unconscious mind. Your unconscious mind is far bigger than your conscious mind so if it is not in agreement with your conscious mind then things will not happen. You may consciously want to quit smoking or lose weight but if you do not want to do it unconsciously you will not succeed. Believe it or not but in most cases your unconscious mind has associated your behaviours such as smoking and being overweight with safety. If this is the case, then you will not quit until the beliefs of the unconscious mind are changed. The big question is, how do you change the beliefs or programming in the unconscious mind? One of the quickest ways to change what is going on in the unconscious mind is to use hypnosis. Hypnosis allows you to talk directly to the unconscious mind. It allows you to give suggestions to the unconscious and thus make changes quickly and efficiently. It allows you to quit the habits such as smoking and overeating quickly and efficiently. Of course, there is a catch, there’s always a catch. The catch is that you must want to quit. Hypnosis is not a way to make you do something that you don’t want to do. 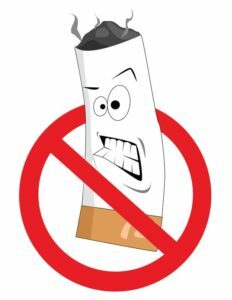 If you want to quit an unwanted habit, make very sure that you want to. If you are sure, then hypnosis can help you change your unconscious programming quickly and efficiently.